Because I love watercolor pencils, I’ve acquired numerous graphite pencils that are also water soluble (as a matter of principle). But it wasn’t until the graphite drawing class I took last year that I made a concerted effort to become familiar with them. Just like their colored counterparts, water-soluble graphite pencils are a versatile medium. What I look for in a water-soluble graphite pencil is a core that applies as smoothly in its dry state as would an ordinary graphite pencil of a similar grade. Then when I activate it with water, I want the washed result to be as dark and rich as possible without having to scrub. 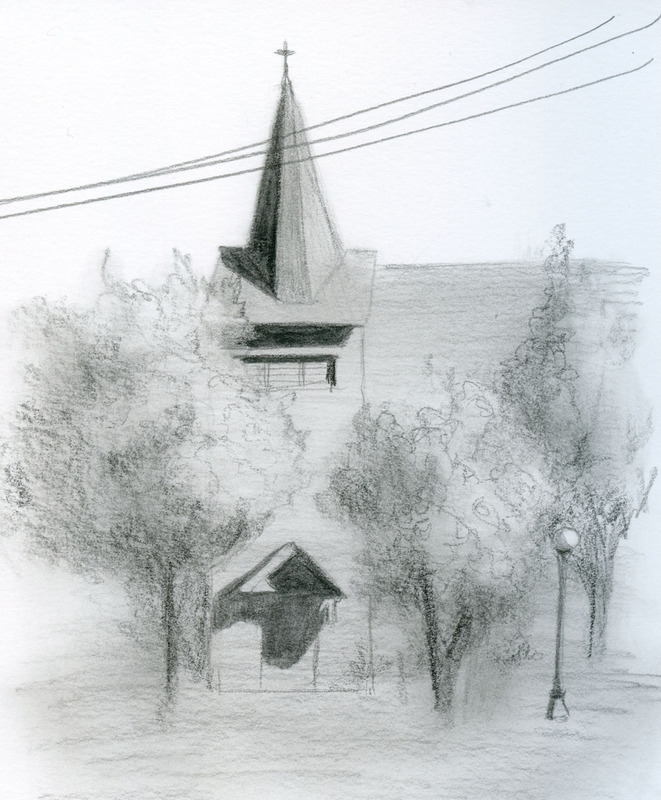 In a tonal drawing (like the one of the church shown below), it’s a fast, easy way to turn the darkest darks into a solid black. Another notable attribute is that once the activated graphite dries, it becomes permanent and will no longer dissolve. Additional layers can be applied and activated without disturbing the layers beneath. This permanence after drying is a strong benefit because I use a spritzed-on fixative that leaves the page quite wet, and if the graphite were to continue dissolving, it would turn into a mess. Last December when I discussed my Top Products of 2017, the Viarco ArtGraf water-soluble graphite pencil made the list. I’ve tried a variety of brands, including Cretacolor, Faber-Castell, Caran d’Ache and Derwent, and the Portuguese-made Viarco is easily my favorite. For the test chart I made here, I wanted to compare apples to apples, but I don’t own all grades in all brands, so my test is not exactly scientific. Frankly, they all look similar in their dry state, and the differences become apparent mostly after they are activated. 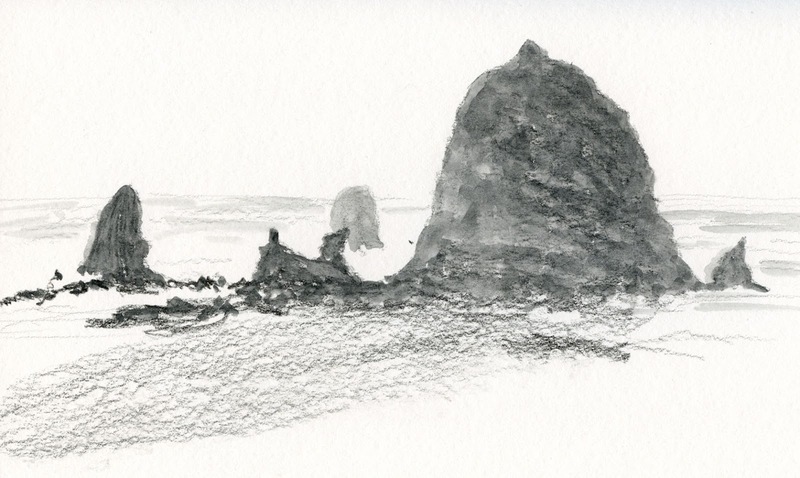 (Samples were made in a Stillman & Birn Beta sketchbook by swiping once with a juicy waterbrush; no scrubbing.) For example, the wash of the Derwent Sketching pencil in 8B is pale compared to the Faber-Castell in 6B or even the Viarco in 2B. 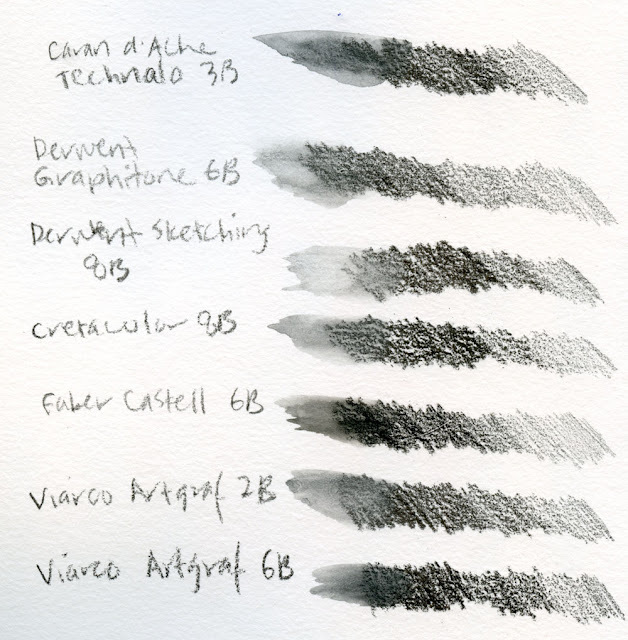 When applied dry, the Caran d’Ache Technalo is also a favorite for its smoothness, but it only goes as far as 3B in darkness. If I could get one in 6B, I’d probably love it. The Viarco ArtGraf comes in 2B and 6B grades, but I can hardly tell the difference between them when dry. 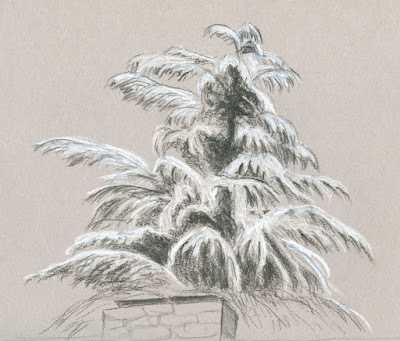 Activated, however, the 6B has the darkest, richest wash of the pencils I’ve tried, so I prefer it for its versatility. 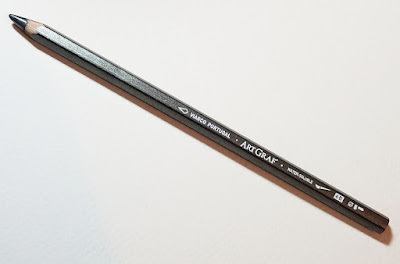 Viarco also makes a water-soluble carbon pencil. When washed, it’s even darker and richer than the ArtGraf, but it’s much scratchier and rougher when applied dry. The ArtGraf is a nice balance between a pleasant dry application and a dark wash. The link I provided above goes to Amazon, which offers the ArtGraf only as a pair containing both the 2B and 6B (at a hefty price). The 6B was available individually in a shop in Lisbon, so I stocked up there. I saw that CW Pencils carries the 2B singly, but not the 6B, so I inquired, and I was told that carrying the 6B was likely in the future. One more reason I love using the ArtGraf is shown in the sketch below, which you saw the other day in my post about Good Shepherd Center. 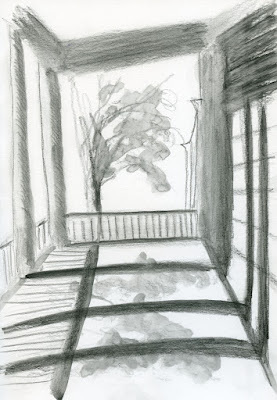 When I spotted the beautiful shadows falling across the veranda floor and the columns that cast them, I wanted to do a graphite sketch by building up those subtle tones gradually. But I had only 20 minutes until the throwdown, so I had to use the quick-and-dirty method: Lots of heavy strokes from the ArtGraf deepened with a slap-dash of the waterbrush. Applied this way, it lacks finesse, but it gets the job done. I like a tool with that kind of versatility. I've only tried Dewert. I see I need to do some experimenting. Thank you for the informative article! You're welcome, and I hope you have fun with water-soluble graphite!